A room thermostat simply switches the heating system on and off as necessary. It works by sensing the air temperature, switching on the heating when the air temperature falls below the thermostat setting, and switching it off once this set temperature has been reached. Turning a room thermostat to a higher setting will not make the room heat up any faster. How quickly the room heats up depends on the design of the heating system, for example, the size of boiler and radiators. Neither does the setting affect how quickly the room cools down. Turning a room thermostat to a lower setting will result in the room being controlled at a lower temperature, and saves energy. The heating system will not work if a time switch or programmer has switched it off. The way to set and use your room thermostat is to find the lowest temperature setting that you are comfortable with, and then leave it alone to do its job. The best way to do this is to set the room thermostat to a low temperature – say 18oC – and then turn it up by one degree each day until you are comfortable with the temperature. You wo n’t have to adjust the thermostat further. Any adjustment above this setting will waste energy and cost you more money. If your heating system is a boiler with radiators, there will usually be only one room thermostat to control the whole house. But you can have different temperatures in individual rooms by installing thermostatic radiator valves (TRVs) on individual radiators. If you don’t have TRVs, you should choose a temperature that is reasonable for the whole house. If you do have TRVs, you can choose a slightly higher setting to make sure that even the coldest room is comfortable, then prevent any overheating in other rooms by adjusting the TRVs. What is a cylinder thermostat? 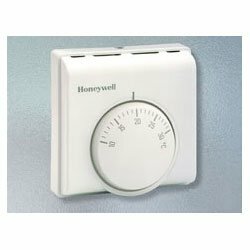 A cylinder thermostat switches on and off the heat supply from the boiler to the hot-water cylinder. 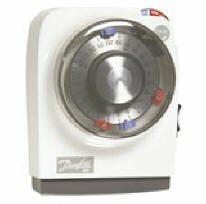 It works by sensing the temperature of the water inside the cylinder, switching on the water heating when the temperature falls below the thermostat setting, and switching it off once this set temperature has been reached. Turning a cylinder thermostat to a higher setting will not make the water heat up any faster. How quickly the water heats up depends on the design of the heating system, for example, the size of boiler and the heat exchanger inside the cylinder. The water heating will not work if a time switch or programmer has switched it off. And the cylinder thermostat will not always switch the boiler off, because the boiler sometimes needs to heat the radiators. Cylinder thermostats are usually fitted between one quarter and one third of the way up the cylinder. The cylinder thermostat will have a temperature scale marked on it, and it should be set at between 60C and 65C, then left to do its job. This temperature is high enough to kill off harmful bacteria in the water, but raising the temperature of the stored hot water any higher will result in wasted energy and increase the risk of scalding. If you have a boiler control thermostat, it should always be set to a higher temperature than that of the cylinder thermostat. In most boilers, a single boiler thermostat controls the temperature of water sent to both the cylinder and radiators, although in some there are two separate boiler thermostats. Programmers allow you to set ‘On’ and ‘Off’ time periods. Some models switch the central heating and domestic hot water on and off at the same time, (these no longer comply with regulations as they can waste energy) while others allow the domestic hot water and heating to come on and go off at different times. Set the ‘On’ and ‘Off’ time periods to suit your own lifestyle. On some programmers you must also set whether you want the heating and hot water to run continuously, run under the chosen ‘On’ and ‘Off’ heating periods, or be permanently off. The time on the programmer must be correct. Some types have to be adjusted in spring and autumn at the changes between Greenwich Mean Time and British Summer Time. You may be able to temporarily adjust the heating programme, for example, ‘Override’, ‘Advance’ or ‘Boost’. These are explained in the manufacturer’s instructions. What is a programmable room thermostat? A programmable room thermostat is both a programmer and a room thermostat. A programmer allows you to set ‘On’ and ‘Off’ time periods to suit your own lifestyle. 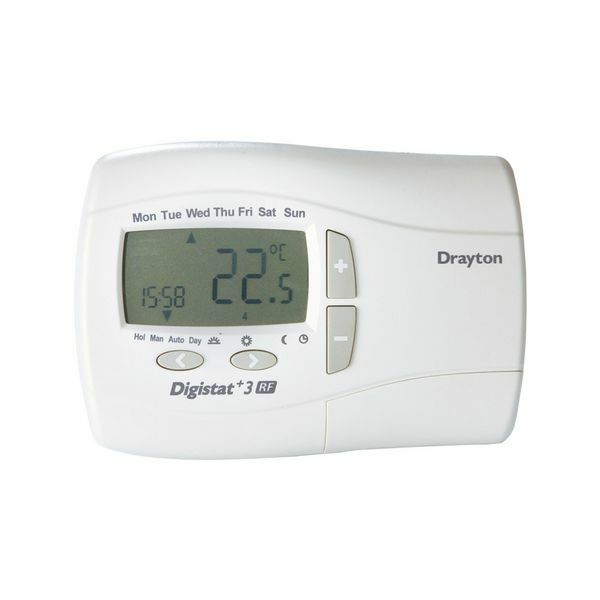 A room thermostat works by sensing the air temperature, switching on the heating when the air temperature falls below the thermostat setting, and switching it off once this set temperature has been reached. So, a programmable room thermostat lets you choose what times you want the heating to be on, and what temperature it should reach while it is on. It will allow you to select different temperatures in your home at different times of the day (and days of the week) to meet your particular needs. Turning a programmable room thermostat to a higher setting will not make the room heat up any faster. How quickly the room heats up depends on the design of the heating system, for example, the size of boiler and radiators. Neither does the setting affect how quickly the room cools down. Turning a programmable room thermostat to a lower setting will result in the room being controlled at a lower temperature, and energy. The way to set and use your programmable room thermostat is to find the lowest temperature settings that you are comfortable with at the different times you have chosen, and then leave it alone to do its job. The best way to do this is to set low temperatures first, say 18oC, and then turn them up by one degree each day until you are comfortable with the temperatures. You won’t have to adjust the thermostat further. Any adjustments above these settings will waste energy and cost you more money. If your heating system is a boiler with radiators, there will usually be only one programmable room thermostat to control the whole house. But you can have different temperatures in individual rooms by installing thermostatic radiator valves (TRVs) on individual radiators. If you don’t have TRVs, you should choose a temperature that is reasonable for the whole house. If you do have TRVs, you can choose a slightly higher setting to make sure that even the coldest room is comfortable, then prevent any overheating in other rooms by adjusting the TRVs. You may be able to temporarily adjust the heating programme, for example, ‘Override’, ‘Advance’ or ‘Boost’. These are explained in the manufacturer’s instructions. Programmable room thermostats need a free flow of air to sense the temperature, so they must not be covered by curtains or blocked by furniture. Nearby electric fires, televisions, wall or table lamps may prevent the thermostat from working properly. TRVs sense the air temperature around them and regulate the flow of water through the radiator which they are fitted to. They do not control the boiler. They should be set at a level that gives you the room temperature you want. These settings may have to be different in each room, and you should set the TRV s to suit each room and then leave them to do their job. TRVs need a free flow of air to sense the temperature, so they must not be covered by curtains or blocked by furniture. 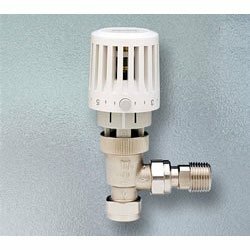 TRVs cannot turn off the boiler when the whole house is warm. To do that, you will need a room thermostat as well. The radiator in the room with the room thermostat should not normally have a TRV, but, if it does, keep the TRV on the maximum setting and adjust the room thermostat as explained with the instructions.